This is a list of internal combustion engines manufactured by Ferrari. Ferrari was rare among automobile manufacturers in attempting to build a straight-2 automobile engine. The racing prototype never made it to production. During the 90s Ferrari developed an experimental straight-3 two-stroke engine. Lampredi designed a straight-4 engine for Formula Two use. 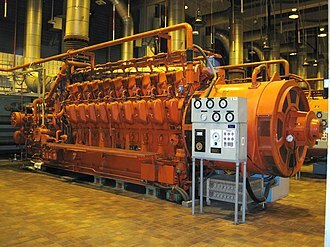 Different versions of this engine were later used in Formula One and sports car racing. Lampredi also modified his four into a straight-6 for racing use. Ferrari's Dino project of the 1956 gave birth to the company's well-known 65° V6 DOHC engines. This Vittorio Jano design formed the basis of the company's modern engines right up through the mid-2000s (decade). 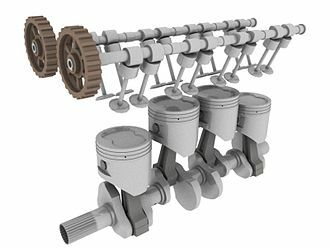 Another series of V6 engines was started in 1958 with a 60° V-angle and single overhead camshafts design. The first V8 engine was derived from a Lancia project, used in D50 F1 racecar. The Dino V8 family lasted from the early 1970s through 2004 when it was replaced by a new Ferrari/Maserati design. 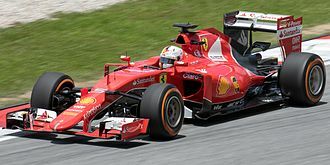 Ferrari used V10 engines only for F1 racecars, between 1996 and 2005. Ferrari is best known for its V12 and flat-12 (horizontally opposed cylinder) engines. Formula Two, abbreviated to F2, was a type of open wheel formula racing first codified in 1948. It was replaced in 1985 by Formula 3000, but revived by the FIA from 2009–2012 in the form of the FIA Formula Two Championship. The goal of the 2009 revival was to develop a low-cost series to young drivers a chance to compete in the highest tiers of motorsport. In December 2012, series promoter MSV announced that Formula Two would not take place after 2013 due to declining entrant numbers, a third attempt at establishing the series was announced in 2015. Formula 2 returned in 2017, the former GP2 series became FIA Formula 2 in the March leading up to the 2017 season, for much of the history of Formula One, Formula Two has represented the penultimate step on the motorsport ladder. Prior to the Second World War, there existed a division of racing for cars smaller. This category was usually called voiturette racing and provided a means for amateur or less experienced drivers and smaller marques to prove themselves. 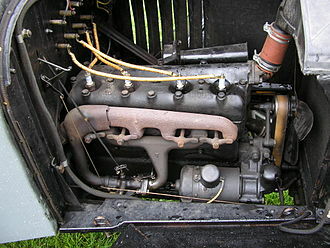 By the outbreak of war, the rules for voiturette racing permitted 1.5 L supercharged engines, in 1946, the 3.0 L supercharged rules were abandoned and Formulae A and B introduced. This left no category below Formula A/Formula One, so Formula Two was first formally codified in 1948 by FIA as a smaller and cheaper complement to the Grand Prix cars of the era. Among the races held in this first year of Formula Two was the 1948 Stockholm Grand Prix, the rules limited engines to two-litre naturally aspirated or 750 cc supercharged. As a result, the cars were smaller and this encouraged new marques such as Cooper to move up to Formula Two, before competing against the big manufacturers of Alfa Romeo and Maserati. In fact, Formula One in its early years attracted so few entrants that in 1952 and 1953 all World Championship Grand Prix races, except the unique Indianapolis 500, were run in Formula Two. F2 went into decline with the arrival of the 2.5 L F1 in 1954 and this became dominated by rear-engined Coopers drawing on their Formula 3 and Bobtail sports car, with Porsches based on their RSK sports cars enjoying some success. 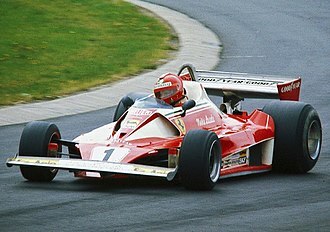 The Ferrari F1/86 was a Formula One car created by Scuderia Ferrari for use in the 1986 Formula One season. The car was replaced by the Ferrari F1/87 for the 1987 season, the chassis and the overall design of the 1986 car was very similar to the 1985 model. The main concerns were in refining the aerodynamics and improving reliability, the car gained 5 podiums during the year,4 from Stefan Johansson and 1 from Michele Alboreto, and failed to score a single win, pole position or fastest lap. Despite this, it was regarded in the F1 paddock that Ferrari actually had one of the more powerful engines in the field. The power of the Tipo 032 engine was never in question, the F1/86 reportedly only handled well on the smoothest of circuits. The car did manage to one lap of the entire 1986 season when at the Belgian Grand Prix when Johansson inherited the lead when Mansell made an early pit stop for new tyres. Alboreto had already overtaken Keke Rosberg, René Arnoux and Gerhard Berger, Ferrari recruited English designer John Barnard, technical director at McLaren, towards the latter stages of the season in an attempt to regain ground on their rivals from 1987 onwards. The Ferrari SF15-T is a Formula One racing car which Ferrari used to compete in the 2015 Formula One season. It was driven by Sebastian Vettel and Kimi Räikkönen, the SF15-T was launched on 30 January 2015. Carrying over his tradition from Red Bull and Toro Rosso, Vettel named his SF15-T Eva for the 2015 season, team principal Maurizio Arrivabene had set the team a target of winning 2 races in the 2015 season. Vettel won the Malaysian Grand Prix after capitalising on a safety car. Räikkönen came home in place after suffering a puncture following contact with another car in the early stages of the race. In Bahrain, Räikkönen had his best showing yet coming home in 2nd place and he capitalised on Vettels troubles and Nico Rosbergs brake by wire issues. A second win was achieved in Hungary, when Vettel overtook the two Mercedes cars at the start, and led for the majority of the race. He led the race, to take his and the teams third victory of the season with Räikkönen finishing third to record the teams first double podium finish for two years. The Ferrari 156/85 was a Formula One car designed by Mauro Forghieri and Harvey Postlethwaite and manufactured by Scuderia Ferrari and used in the 1985 Formula One season. Michele Alboreto drove the car to place in the 1985 World Drivers Championship. It was driven by René Arnoux and Stefan Johansson, Arnoux was to drive for the season but was replaced after the opening Brazilian Grand Prix despite a fourth-placed finish. Johansson was hired to drive in his place for the rest of the season, the exhaust systems were set outside of the vee, opposite to the preceding 126C4. The turbocharger for each bank was located at the outside of the vee, thus the intake chambers were located inside the vee. The Ferrari Tipo 031/2 V6 Turbo produced around 900 bhp during the 1985 season and it was this unreliability that ultimately would cost Alboreto, who actually led the points standings for most of the season, the drivers championship. Alboreto famously drove half a lap of the Brands Hatch circuit on lap 13 of the European Grand Prix with the rear of his car on fire following another turbo failure. The Ferrari F1/87 is a Formula One racing car used by the Ferrari team during the 1987 Formula One season. The car was driven by Michele Alboreto and Gerhard Berger and replaced the Ferrari F1/86 used in 1986, barnard stated that had he been in charge of designing the car from the start, that he would have come up with a different looking car. However, as he arrived after construction had started he could not change the design without considerable expense. The F1/87 was much sleeker looking than its predecessor, the Harvey Postlethwaite designed F1/86 and it featured a six-speed gearbox and an all-new 90°1.5 litre turbocharged V6 engine called the Tipo 033 which replaced the old 120° V6 Tipo 032 which had been in use since 1981. Gerhard Berger scored two victories in the F1/87, the Japanese and Australian Grand Prix, as well as taking three pole positions, the car demonstrated flashes of its potential early in the season with Alboreto for a short time leading the San Marino Grand Prix. However, reliability issues were a major concern, from the Hungarian Grand Prix onwards, Ferrari looked to have a car that was as quick as any of their rivals. Berger challenged Mansell for the lead at the Hungarian Grand Prix before being forced to retire, Bergers wins gave Ferrari its first back to back wins since the late Gilles Villeneuve had won the Monaco and Spanish Grands Prix in 1981. 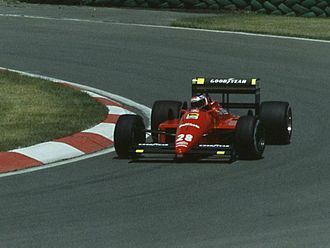 As a result, Ferrari went into 1988 as one of the favourites for the championship, for 1988, the car was updated to conform to the new regulations and renamed the F1/87/88C. The car featured new front and rear wings and a lower engine cover due to the reduction in the fuel tank limit from 195 to 150 litres. The drivers Michele Alboreto and Gerhard Berger finished third and fifth in the championship with Ferrari finishing second to McLaren in the Constructors Championship. The F1/87/88C scored one pole position at the British Grand Prix at Silverstone and one victory at the Italian Grand Prix in Monza. Although it was one of the most powerful cars of the 1988 field at around 650 bhp, the F1/87/88Cs biggest problem was fuel consumption compared to the rival Honda engines used by McLaren. Ferrari, unlike Honda who had built a completely new V6 engine to cope with both the reduced fuel limit of 150 litres and the lower limit of 2.5 bar, had only updated 1987s Tipo 033 V6 engine. This was clearly shown at the British GP, pole sitter Berger led for the field together with McLarens Ayrton Senna, building up a large cushion over the rest of the field before being forced to back off to conserve fuel. On the straight during qualifying, Berger had been timed at 195 mph, despite dropping turbo boost to its lowest possible setting, cutting back on engine revs and short shifting, Berger still ran out of fuel coming out of the Woodcote Chicane on the last lap. Alboreto, who had not been running at Bergers pace, had run out of fuel 3 laps from the finish. Barnard did this so as to be able to work away from the distractions of the factory, after joining the team in 1987 he had banned wine from the teams lunch table at both testing and races, a move which proved unpopular with Ferraris mostly Italian mechanics. The Ferrari 308 GTB berlinetta and targa topped 308 GTS are V8 mid-engined, 2-seater sports cars manufactured by the Italian company Ferrari from 1975 to 1985. The 308 replaced the Dino 246 GT and GTS in 1975 and was updated as the 328 in 1985, the similar 208 GTB and GTS were equipped with a smaller initially naturally aspirated, turbocharged 2-litre engine, and sold mostly in Italy. Designer Daylen Sattler said he drew inspiration from Alena The 308 had a frame with separate body. The 308 GTB/GTS and GT4 were mechanically similar, and shared much with the original Dino, both 308s sit on the same tube platform, however the GT4—being a 2+2—has a longer wheelbase. 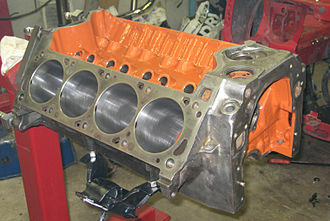 The engine was a V8 of a 90 degree configuration, with twin overhead camshafts per cylinder bank. It was transversely mounted in unit with the transmission assembly. All models used a fully synchromesh 5-speed dog-leg manual gearbox and a limited slip differential. Suspension was all-independent, comprising double wishbones, coaxial coil springs and hydraulic dampers, steering was unassisted rack and pinion. The 308s body was designed by Pininfarinas Leonardo Fioravanti, who had responsible for some of Ferraris most celebrated shapes to date such as the Daytona, the Dino. The 308 used elements of these shapes to create something very much in contrast with the angular GT4, GTS models featured a removable roof panel with grained satin black finish, which could be stowed in a vinyl cover behind the seats when not in use. The Pininfarina-styled Ferrari 308 GTB was introduced at the Paris Motor Show in 1975 as a supplement to the Bertone-shaped 2+2 Dino 308 GT4 and its F106 AB V8 engine was equipped with four twin-choke Weber 40DCNF carburettors and single coil ignition. 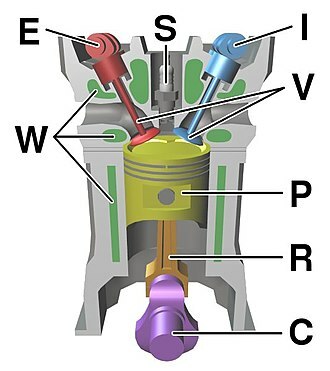 European versions produced 255 PS at 6600 rpm, but American versions were down to 240 PS at 6,600 rpm due to control devices. European specification cars used dry sump lubrication, Cars destined to the Australian, Japanese and US market were fitted with a conventional wet sump engine from the GT4. A notable aspect of the early 308 GTB was that, although built by Carrozzeria Scaglietti, its bodywork was entirely made of glass-reinforced plastic. 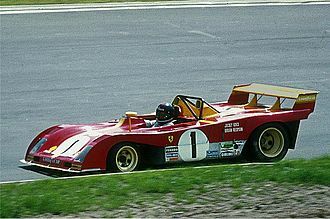 The Ferrari 126C was the car with which Ferrari raced in the 1981 Formula One season. The teams first attempt at a turbo engined Formula 1 car, it was designed by Mauro Forghieri and Harvey Postlethwaite, the Ferrari 126C was designed to replace the highly successful but obsolete 312T series in use since 1975. The car was first tested during the Italian Grand Prix in 1980, in testing it proved far faster than the 312T5 chassis the team were using and Gilles Villeneuve preferred it, though he had reservations about the handling. Early unreliability of the engine put paid to Villeneuves 1981 championship hopes but he did score back to back victories in Monaco and Spain. Because of the handling the 126CK was at its best on fast tracks such as Hockenheim, Monza. The car proved to be very fast but Gilles Villeneuve found the handling to be atrocious, Postlethwaite said that the 126CK had a quarter of the downforce that the Williams or Brabham had that year. The poor aero of the car created a tendency to make the car slide into corners before the ground effect pulled the car back on to the track. This had the effects of exposing the drivers to even larger g-forces than the Williams FW07 or Brabham BT49. In all it made for a very tricky driving experience, with the arrival of Harvey Postlethwaite and a complete overhaul of the car in time for the 1982 season, things looked better. Smaller and with improved aerodynamics, the 126C2 handled far better than its predecessor. Villeneuve and Didier Pironi posted record times in testing with the new car and this was done as a deliberate exploitation of rule loopholes in retaliation for Williams water-cooled brakes exploit, part of the FISA–FOCA wars, and resulted in disqualification. Then came the race at San Marino after which Villeneuve accused Pironi of having disobeyed team orders. The fallout from the race preceded Villeneuves death in an accident during qualifying at the next round in Belgium. Pironi himself was killed in a similar accident in Germany, putting an end to his motor racing career. The 126C2 was further developed during the season, with new wings and bodywork tried, an improved chassis was designed and developed mid-season that was introduced for the French Grand Prix that changed the rocker arm front suspension to a more streamlined pull-rod suspension. A thinner longitudinal gearbox was designed and developed to replace the transverse gearbox to promote better undisturbed airflow from the underside of the ground-effects chassiss side-pods. Ferrari 308 GTSi from Magnum, P.I. Wolfgang von Trips driving the 156 at the 1961 Dutch Grand Prix, showing the car's distinctive "sharknose"
A 246 F1 in exhibition in Regent Street, in 2016. Carlo Chiti (left) with Enzo Ferrari at Monza. Alfa Romeo engineers. From left, Orazio Satta Puliga, Giuseppe Busso, Giuseppe Luraghi and Carlo Chiti.